First off we’d like to say thank you for stopping by and having a look at our new website. 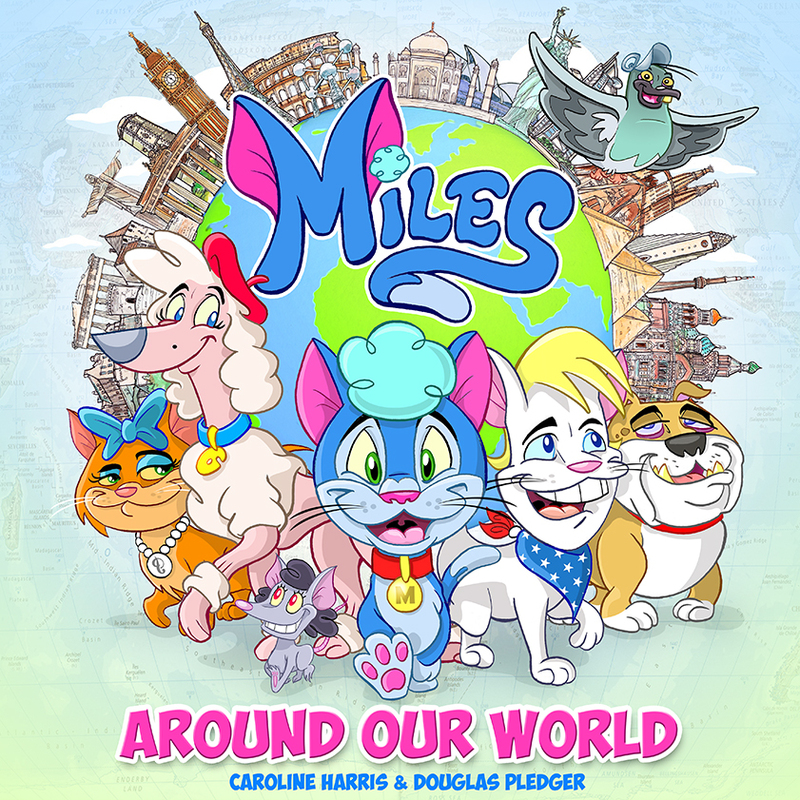 What you’ll find here is a children’s book series created, written, illustrated and designed by partners Caroline and Douglas Pledger. 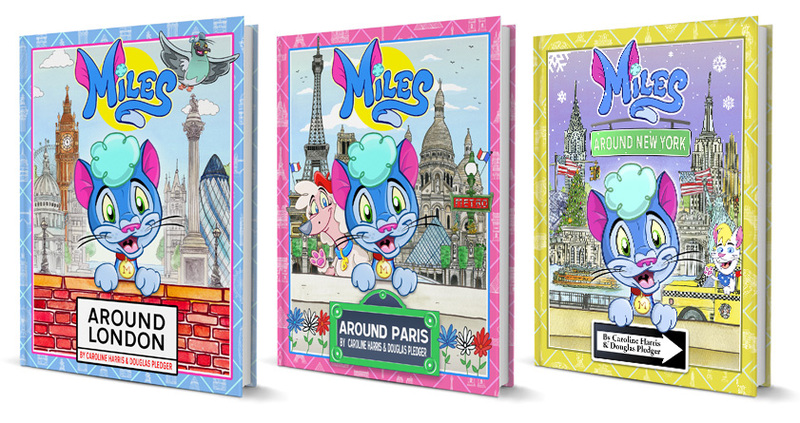 Our stories are about Miles, a globetrotting kitten who travels the world, meeting new friends, seeing new places and learning new things. 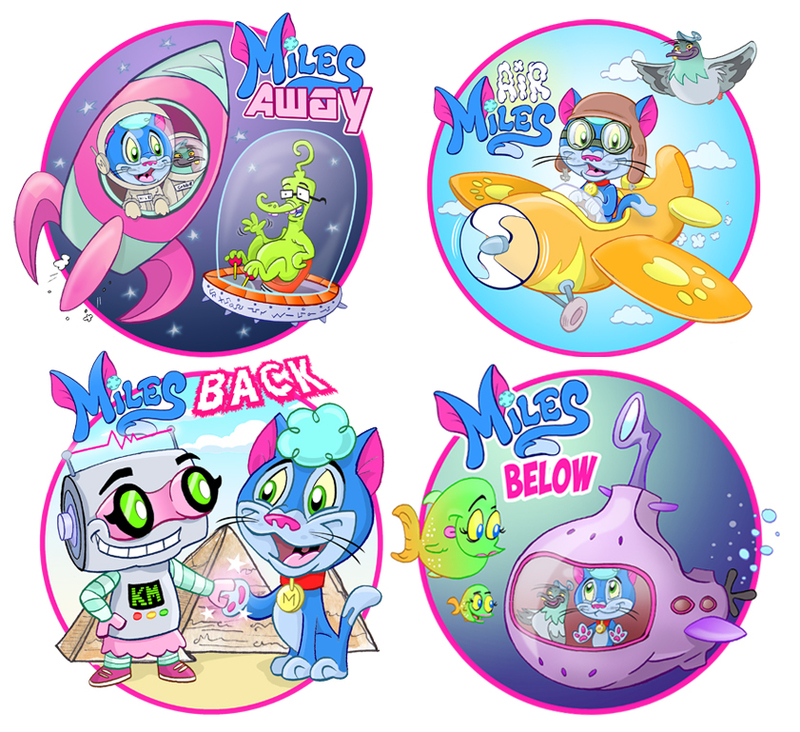 The picture books are aimed at 4-7 year old children and are educational in covering buildings, places, history and languages. The books also feature lots of games and activities such as old favourites like spot the difference and mazes to many new ones. We’ve worked very hard to make sure everything ties nicely together and children will want to revisit these books time and time again. 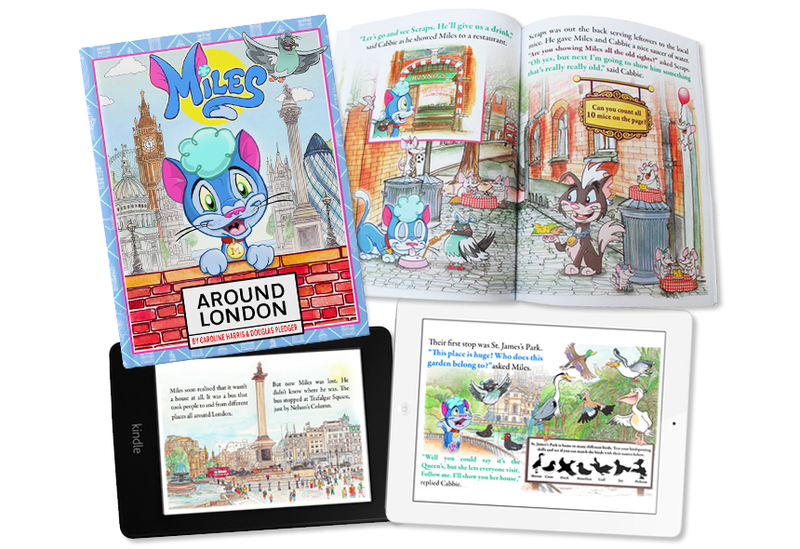 Our first story ‘Miles around London’ starts when Miles, who one morning whilst speaking to his neighbour Bernie, learns that there’s more to the world than just his back garden. Miles lets curiosity get the better of him and sets off to explore his neighbourhood. One thing leads to another and before you know it Miles finds himself in Trafalgar square. It is here whereupon he meets Cabbie, a local streetwise pigeon who takes Miles under his wing on a guided tour of our wonderful capital. 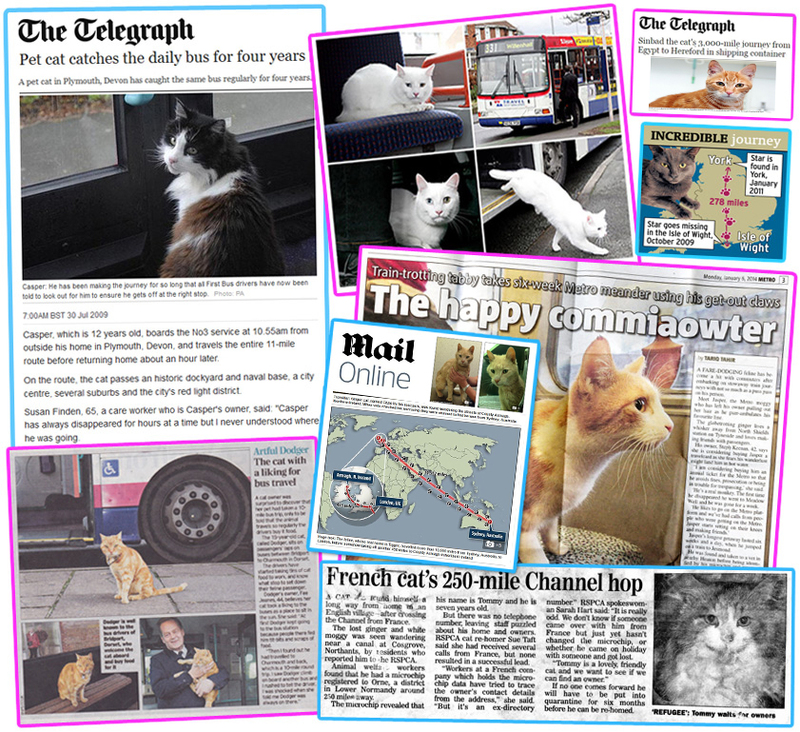 You can visit our Miles around London page by clicking here. 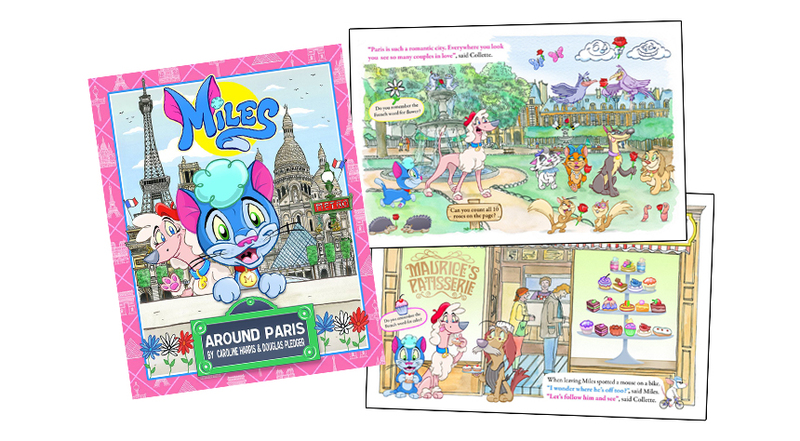 Our second story ‘Miles around Paris’ sees Miles wondering where his dad always rushes off to in the morning after breakfast. When deciding to sneak into his dad’s bike bag and follow him into work Miles ends up getting lost at St Pancras station. Next thing he knows he’s accidentally boarded the Eurostar and on his way to France. All is well though when he meets Collette, a friendly Poodle who decides to take Miles on a tour of Paris before his train is ready to depart back to London later that afternoon. This book can be bought by clicking here Amazon both in hardback and paperback. 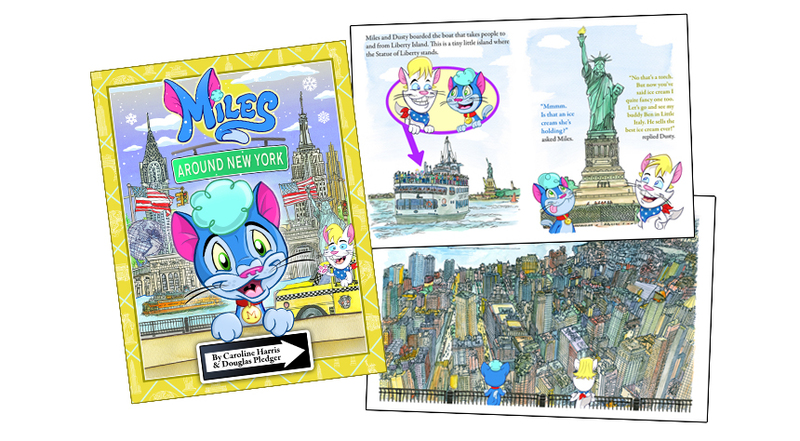 Our third story ‘Miles around New York’ begins with Miles on board an airplane with his family, travelling to meet family in New York. Miles meets his cousin Dusty who takes him out to explore the city. This can be bought on Amazon too in both hardback and paperback. We’d love to hear from you so if you do wish to say hello you can contact us on douglas@milesaroundourworld.com Many thanks. Caroline, Douglas & Miles. Caroline, 28, works at Enfield Town library in the children’s section, singing to babies in ‘Baby Rhyme Time’ and organising ‘Wonderbooks’, a club for young readers. Outside of work Caroline spends a lot of time drawing and painting. She studied at Central St Martins and Middlesex university. She has had her artwork exhibited at The Old Truman Brewery, Everyman Cinema & Tokarska Gallery. She has done many commissions for Oxfam , Hiitgirl, various private collectors and sells prints of her cityscape drawings at the Frameworks Gallery, Crouch End. Douglas, 34, also a librarian but at post production film studio Framestore. Douglas has illustrated work for many clients worldwide including The Simpsons, The National Fire Brigade, BBC, Channel 4, Nestle and TalkSport to name a few. 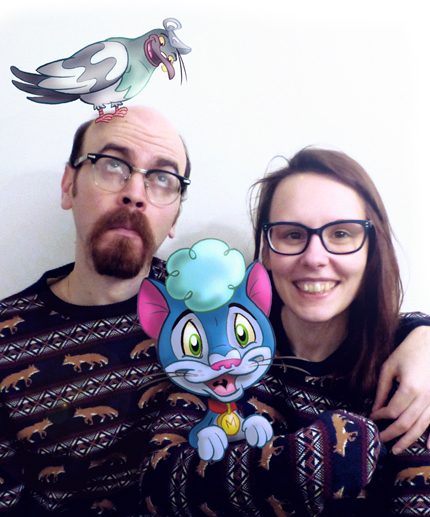 Douglas has also taught cartooning to many infant and junior schools up and down the country and continues to follow on in the footsteps of his father, wildlife artist and children’s book author Maurice Pledger.